Towards the end of the Edo era, in the town of Kyoto, there lived a wealthy merchant by the name of Imai Tadamasa. He was blessed with 3 children, Hatsu, Asa and Kyutaro. His eldest, Hatsu, was a traditional girl who loved to play the koto and sew. Whilst his second daughter, Asa, was an impish hoyden who loved sumo wrestling. Asa was engaged to be married to the second son of a distinguished family who ran a money changer business in Osaka, Shirooka Shinjiro. Although Asa was furious when she had first heard about the betrothal, when she met up with Shinjiro for the first time, his charisma greatly attracted her and she fell in love with him in no time. After their marriage, at the cusp of the Meiji era, the Shirooka's found themselves in dire financial straits, as money changing was no longer a lucrative business anymore. Shinjiro deemed himself not suited to making money and devoted his time to playing the shamisen and pursuing other refined cultural activities. As they neared bankruptcy, Asa decided to turn to coal mining, as that is the much-needed commodity at that time. She set off to Kyushu by herself, to talk to the coal miners to talk about coal supply. The drama depicts the challenges faced by Asa, in a very much male dominated society, and how she overcomes them triumphantly. It also showcases the changes in the Japanese society as the Meiji Restoration slowly swept across the nation. 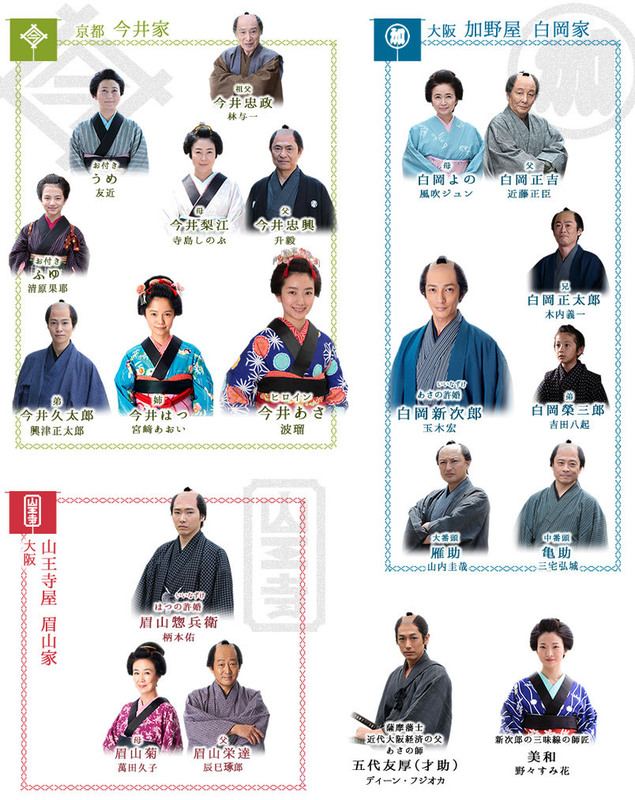 Starting near the end of the Edo period and going thru the Meiji era, sort of a combination asadora/taiga (although I think Asa Shirooka is a fictional character). Haru was okay as Asa but most of the supporting cast was very good, especially Hiroshi Tamaki as goofy Shinjirou. 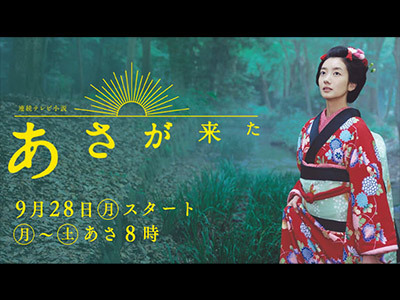 Excellent asadora, with solid acting from the cast, an uplifting story and a heroine who is easy to root for. Tamaki Hiroshi was great as Shinjiro, and the theme song was nice.